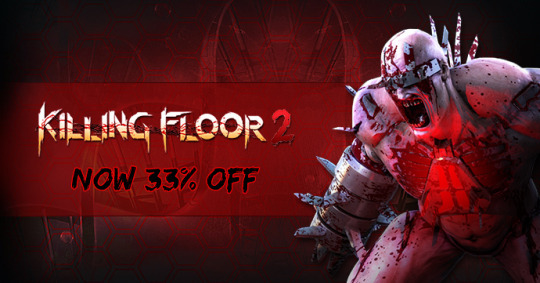 Celebrating A Massive Update to Killing Floor 2 With 33% OFF! Grab Killing Floor 2 at 33% OFF NOW! So what’s this massive update we’re talking about in Killing Floor 2? New Map: Zed Landing – A plane crash on a tropical volcano island, with dynamic volcano effects! New Zed: Gorefiend – a tougher higher level gore fast with 2 blades! New Emotes: New emote animations players can trigger during game-play, one comes for free others are gained from unlocking emote crates! New Weapon: The Bone Crusher – A devastating makeshift shield and mace Berserker melee weapon! New Feature: Dual Perk Weapons – Weapons can now belong to more than one perk greatly increasing weapon choices for each perk! What are you waiting for? Grab Killing Floor 2 at 33% off today + get a free Steam key of Between Me and The Night (valid for purchases ONLY on IndieGala)!